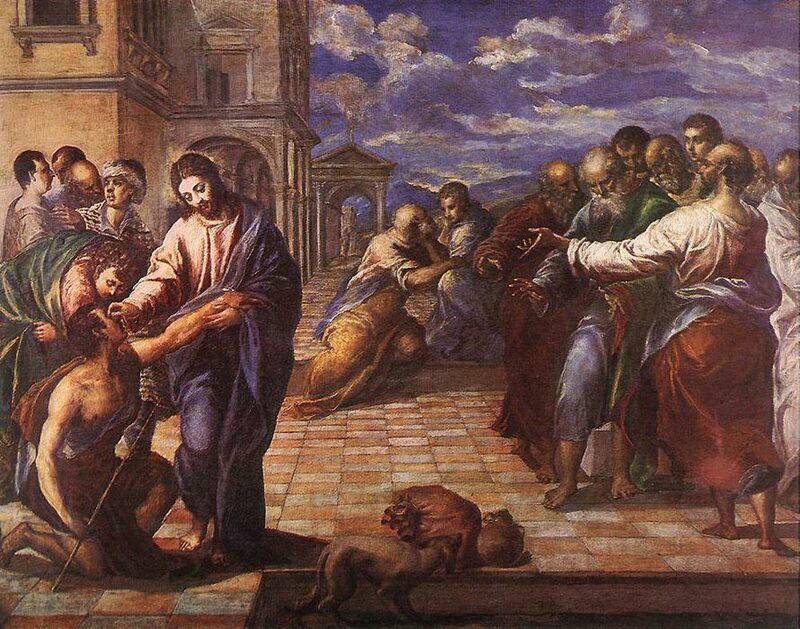 Christ Healing the Blind is a painting by the Greek born artist, El Greco. El Greco spent most of his working life in Spain, but this work was completed circa 1570, six years before he arrived in Spain. Apart from Jesus and the blind man, who is on one knee in front of him, there are several other figures in the painting. A male and female are depicted in the foreground looking on as Christ is placing his fingers on the blind man’s eyes. You refer to a pic in the NY museum but show a painting in Dresden, Germany. The two are similar but not exactly the same.